Congratulations to our newest Certified Field Support Member! Congratulations to Gordon Benedict for achieving his certified field support status! Achieving this is no easy task – an individual must demonstrate proficiency in many different areas including navigation, radio communications and K9 first aid. This helps make our field support personnel a strong and equal partner on our K9 teams. 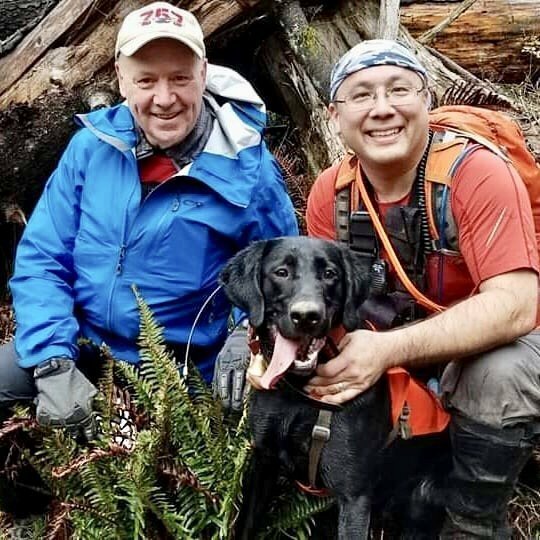 Our certified field support program was pioneered by the members of Cascadia Search Dogs and is in use by other K9 search teams in the region.